As most of you are aware, SWiFT has been branching out in new directions. Recently SWiFT has acquired the Atheist Community of Milwaukee Meetup Group. We will be administering this great tool to help fellow atheists stay in touch and provide many opportunities to meet new friends. Swift has just created a new group on Atheist Nexus. For those of you that have not joined Atheist Nexus, we encourage you to do so. Atheist Nexus is like a Facebook for atheists. You create your own identity complete with a comment wall, just like Facebook; however, it’s just for atheists. There are thousands of atheists from all over the country and right here in our back yard. Check it out for yourself. Please stop by, say hi, “friend” me and other fellow SWiFT members and join the group. 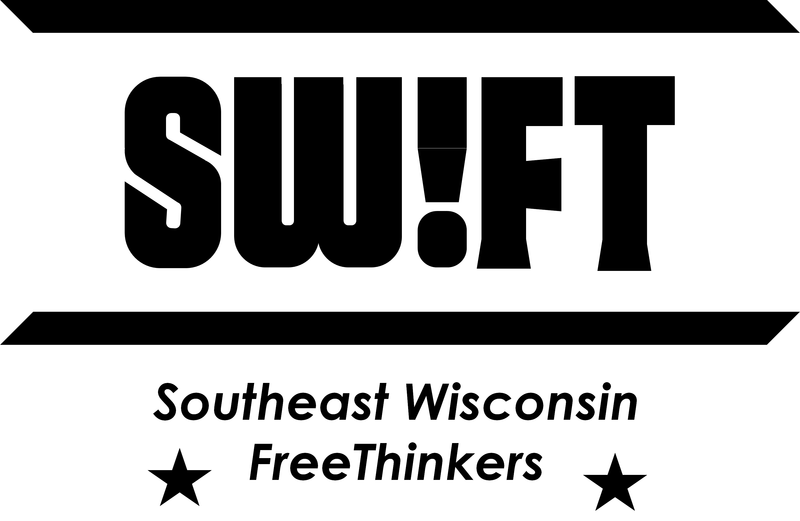 Throughout the summer, SWiFT will be organizing several events to bring the area’s freethinkers together. Look forward to dinners, outings, field trips, and more. All of these exciting changes are done with the intent to grow and bring together our local freethought community. Reaching out to the local community will help to grow SWiFT’s membership and better position us to address the needs of the community. Right now we are focusing on growing the organization and creating a true freethought community. As we do grow, we will partake more in local government and work to protect the rights and freedoms of rational freethinkers both here in Wisconsin, and nationally, as well.